Our best-selling Shutter Dining Table offers functional simplicity with a twist. Square legs support a trapezoidal top. That's right; the top is ever so slightly off-square. At 72"L, the asymmetry is subtle, apparent to observant dinner guests. 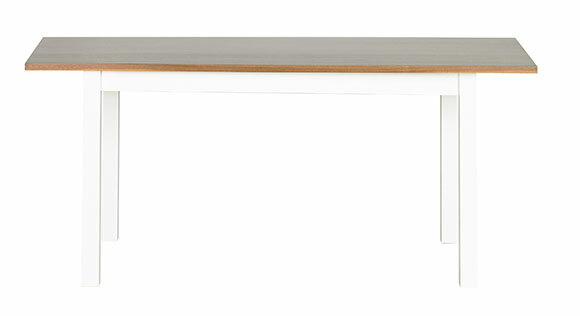 Shown in White on White legs and natural finish Walnut top. Also available at 48"L and 96"L, and with a painted top.